HOFFMAN, N.C. — Sgt. Claude Lee Howard Taylor, 53, of Hoffman, died Monday, June 22, 2015 at Firsthealth Richmond Memorial Hospital. He was born May 29, 1962 in Halifax County N.C., a son of John and Mot Taylor. Lee served in the U.S. Army and was a member of Hoffman Volunteer Fire Department. He has been with Richmond County Sheriff’s Office since 2000 and worked with the Department of Social Services and Child Support Office. Prior to joining the sheriff’s office Mr. Taylor was “a longtime dog handler” with the North Carolina Department of Corrections. He was a member of Richmond County Crime Stoppers and attended Marston Baptist Church. Lee was an avid outdoorsman. While serving in the U.S Army Military Police from 1980 to 1992 Lee attained the rank of Sgt. and was certified as sentry dog, patrol dog, narcotic dog, and explosive dog handler. His military decorations include the Army Achievement Medal (second oak leaf cluster) and the National Defense Service Medal. 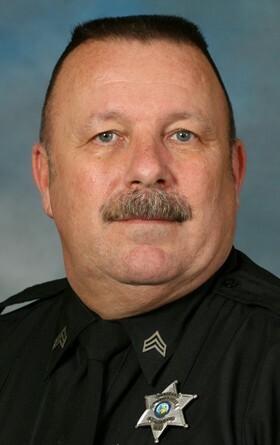 Upon completion of military service Lee worked for the N.C. Department of Corrections as a Correctional Officer from 1992 until 2000 and worked out of the South Central Area Office in McCain as a bloodhound and narcotics dog handler. One of Lee’s more notable achievements was in 1999 when he and his bloodhound Major tracked a bank robbery suspect in Moore County for 7 miles over uneven terrain resulting in the capture of the suspect. In 2000 Lee became a Deputy Sheriff for the Richmond County Sheriff’s Office attaining the rank of Sgt. Lee was a bloodhound and narcotics dog handler during his early years as a Deputy and with the assistance of his K-9 partners found lost children and elderly persons who had wandered from their homes. Lee also served with Hoffman Fire and Rescue for close to 20 years as a fireman providing a multitude of services to the community of Hoffman and Marston. Surviving, Sons, John A. Taylor of Hoffman, James D. Taylor and Lee Taylor Jr. both of Fla.; Parents, John and Mot Taylor of Hoffman; Brother, W.D. Taylor of Hoffman; fiancé, Tara Hough Hogan of Hoffman; stepdaughter, Emma Hogan of Hoffman; granddaughter, Jayme Lynn Taylor of Fla.
Funeral services will be conducted at 2 p.m. Friday, June 26 at Marston Baptist Church with Rev. Jim Ritter and Rev. Mitchell Roller officiating. Burial will in the Blue Family Cemetery on Teal Street in Hoffman with full honors from Richmond County Sheriff’s Office Honor Guard. The family will receive friends from 5 p.m. to 8 p.m. Thursday at Watson-King Funeral Home in Rockingham and other times at the home of his parents, 128 Teal St., Hoffman. Memorials may be made to Hoffman Fire and Rescue Squad, P.O. Box 122 Marston, NC 283463 or Marston Baptist Church, 2361 N. US Hwy. #1, Marston, NC 28363. Watson-King Funeral Home in Rockingham is assisting the Taylor family.